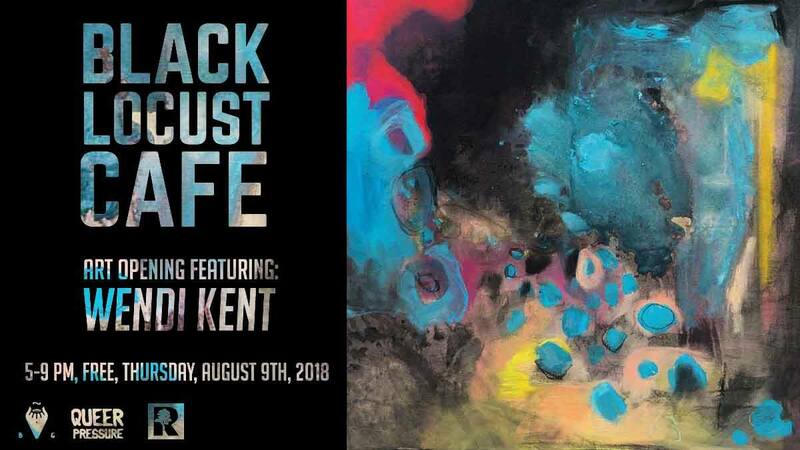 Join us for an opening reception for the works of Wendi Kent displayed at Black Locust Cafe the months of August and September, 2018. Wendi Kent is a queer artist, photographer, and reproductive rights activist living in Madison, WI. Her photography has been featured in Washington Post, Rolling Stone, and more. Kent shares her own struggles with mental illness through her art. Her paintings are portraits of emotions and are often completed in one session. Black Locust Cafe is a wheelchair accessible venue. This event is open to all: all ages, free.